So you have a problem, a recurring issue, and you don’t understand why it’s happening. Maybe your machinery isn’t as durable or efficient compared to other plants. Maybe your co-workers keep complaining after you think you’ve solved it. Something is wrong, something is causing this, and you don’t know what. No matter how far you try to stretch your brain, a reasonable conclusion never surfaces. Well, detectives never get far on sheer guess work. They need clues, evidence, and so do you. But how do you find them? There are two strategies. Root Cause Analysis, and the 5 Whys, both of which I will briefly outline here. 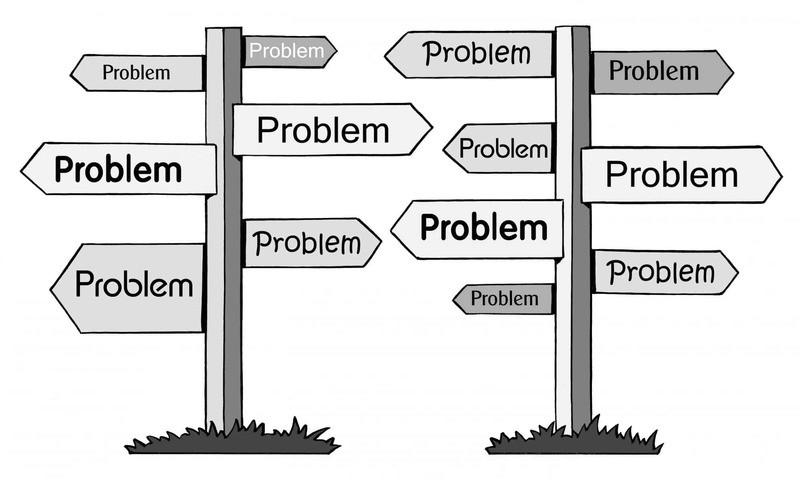 Root Cause Analysis (RCA) is a process used to determine the source of a problem. As I say in my book, it’s incredibly useful in Reliability because it helps you fix the issue at its source, rather than applying Band-Aid “solutions” just to cover the symptoms. As useful as this process is, many overlook it. They guess the reason behind a problem, or they formulate a solution without thinking about the core issue, and they work from there. Sometimes these guesses are spot on, or near the mark, but not always, and you shouldn’t rely on them. If you’re wrong, problems will persist. Instead, find your clues. Analyse data and trends. Monitor machine behaviour. Talk to your colleagues for suggestions on what to do, and ask for their observations. You’ll find things you can link together, that will lead you to the root cause. Don’t know RCA yet? Learn it and introduce it to your colleagues. You can find RCA tools for purchase online as well. Here is some to start with. One excellent strategy to arrive at your root cause is to ask “why?” five times. Like RCA, this is a habit you need to introduce to your workplace. So how does it work? When you encounter a problem, ask why it occurred. Once you know, ask why that is the case. Repeat the above steps three to five times, jotting down any ideas that come to mind. Allow me to reiterate the importance of educating your colleagues on this process. A team of people asking why casts a wider net to catch your problems more effectively than you alone. How do you introduce this process in the workplace? I personally recommend doing a hands on workshop. Tailor examples to each group you educate so they can best understand it. Ask the supervisors of said groups to check if the 5 Whys process has been used on any breakdown orders. This is a simple RCA process, and if you employ it right, you’ll soon discover how valuable a process it truly is. So there are your two strategies to lessen the pain of not knowing the issue. Hopefully now there will be less guesswork and more clues that connect. RCA and the 5 Whys are like your spy glass, or your fingerprint dusting kit. 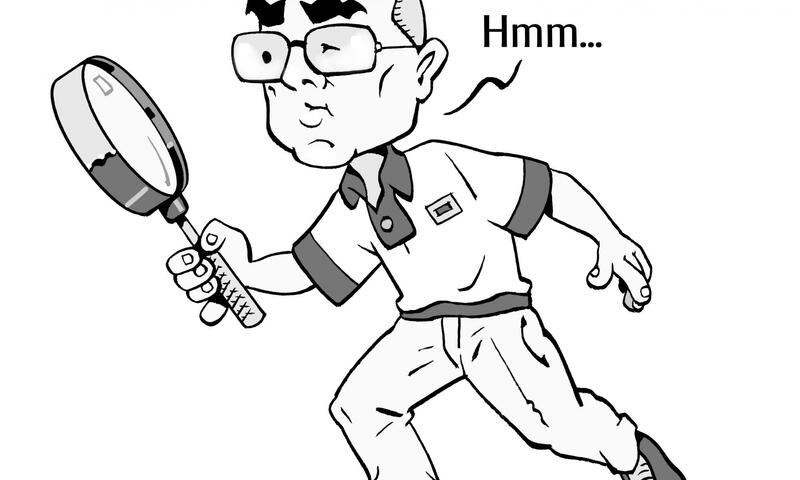 So go forth, Reliability Detectives, and find your culprit –I mean– root cause! If you would like to know more about how to solve an issue at your plant, there’s a course for that. The Extraordinary Reliability Engineer course is available for registration on Eventbrite now. I’ve discussed chronic issues multiple times in previous blog posts. As a refresher, chronic issues are large problems that manifest from numerous small and easily missed issues. There are two basic steps to identifying your chronic problems. You need to find these smaller issues and look for trends between them. Allow me to elaborate on both these steps. As said in a previous post, a lot of little issues are symptoms of a larger problem, the unknown chronic disease. You’ll need a fine, widely cast net to catch these smaller issues. If you miss them, or deem them too inconsequential to deal with, they will continue to build until you have a real mess. It’s like allowing hairs to wash down the drain in the shower, and then when it gets blocked, having to fish out the gunky wad months later. But what exactly do you look for? Well, do you ever find yourself encountering several small issues that constantly interrupt your progress? They’re like bricks slowly building to create a barrier between you and your goal. It’s frustrating, I know, but on a sunnier note, you’ve found your dots. Now we get to the fun part; plotting trends. As part of your loss elimination process, routinely check for chronic issues across the site. You can do this monthly, quarterly, or annually, so the trends have time to develop. (Side note, if someone comes to you outside the meeting room to discuss a potential chronic problem, pay attention. These issues aren’t always easy to find, so listen to them and analyse information when it’s freely served to you.) I recommend grouping common types of failure together (Eg. Electrical, mechanical) across sights. Then it’s easier to spot which ones have the greatest negative impact. My favourite way to do this is creating 3D plots of all the groups together. I can add to it as I gain more data, thus highlighting any rising trends. If something is getting worse, like rapidly increasing cost, you know where to act. When spotting chronic issues, plotting trends is essential. Since most issues are small, they fly undetected by Pareto. Therefore you must brush through the whole plant with a fine-toothed comb. Do not allow the little things to grow big. Do not allow the wall to build. Once you’ve found your chronic issue, you’ll know what you need to fix. Hooray! While some problems make themselves known like a slap to the face, chronic issues are more “passive aggressive”. Hints suggest something wrong, but an obvious answer refuses to present itself, and it can be agonising. Knowing how to identify these problems is key since, as we all know, you can’t fix a problem if you don’t know it exists. Want more information on dealing with chronic issues or other hurdles you face as a reliability engineer? Peter Horsburgh’s Extraordinary Reliability Engineer course could be for you. If you are interested, register at Eventbrite here. @Sanya Mathura is a Reliability Engineer in the Caribbean, she recently received a copy of the ‘5 Habits’ and wrote this review. I did not see this review until it turned up on LinkedIn and simply don’t know what to say. Thank-you Sanya, this review has made all of the early mornings, hours of work and money invested to write the 5 Habits worth it. Having been a Reliability Engineer myself, I know that when I wanted a specific question answered finding someone that could help was a hard thing to do. When getting a consultant in for one question can be a little hard to justify. Rather than tolling through the internet for the answer and wasting a whole heap of time, now you can just ask me! 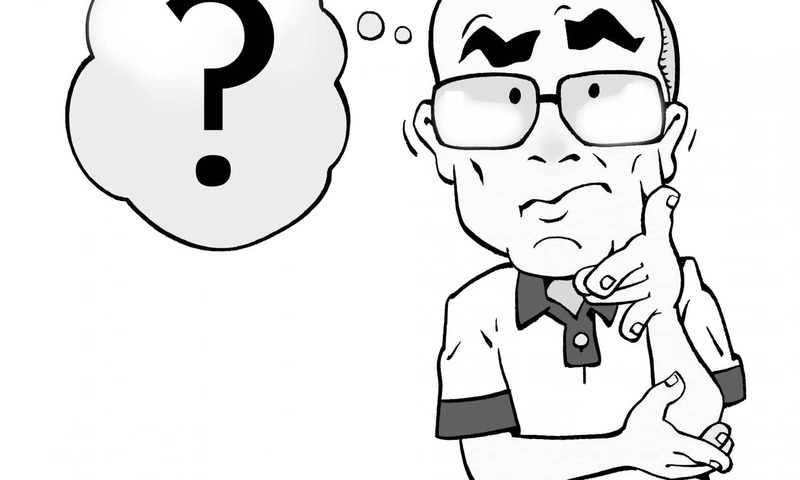 The coaching session is designed to get answers to your questions fast. They are delivered online, so no travel is required. You can share your screen and explain the question or problem. Included is a recording of the session so you can refer to it again and again. The Coaching works in two stages. First, you ask a question or explain the problem. I will take some time and formulate an answer or solution. If I can answer it there and then, I will. I explain the answer in a second session over a maximum of 90 minutes. Coaching slots are available now, you can find out more information on Reliability Extranet here. Need a speaker for your next event? Book me! My goal is to empower Reliability Engineers with the right knowledge, tools and data, so they are enabled, equipped, and justified. Speaking is one way that I can do this! I have a keynote presentation “The 5 Habits of Extraordinary Reliability Engineers” as well as I can talk about Reliability Engineering, Maintenance and Asset management. We offer discounts on the 5 Habits for bulk orders so let me know what you need! Here is the link to my Speaker’s Page for more information and a speaker’s kit download. We all screw up, and that’s okay. In my years working as a Reliability Engineer, I have made many mistakes, felt frequent frustrations, and found myself stuck in the mud, unable to yank my boots free from unproductive methodology. I thought everything followed a rulebook, but that mindset failed me over and over. I had to learn how to solve problems on my own and in doing so, my productivity soared. As I watch other engineers stumble as I did, I have come to recognise five mistakes we all commonly make, and I’m compelled to steer others away from them. People don’t always realise they have an issue, which is problematic as you cannot treat an illness if you don’t notice it’s there. Alternatively, you know you have a problem, but mislabel and thus misdiagnose it. The illness goes untreated and you suffer the unnecessary side-effects of the medicine without reward. I sort issues into two categories; chronic and acute. Acute issues are small flukes and one-offs, while chronic issues are identified by trends and cannot be resolved in a simple manner. If you only treat the symptoms of chronic problems like acute problems, you’ll soon find yourself playing an endless form of whack-a-mole. You whack the problem there, another problem pops up somewhere, whack that, and it pops back up where you just fixed it. You’d need more than a hammer to get rid of these “moles” altogether, and you’ll need to know how they’re thriving beneath the surface. Once you identify the presence of a problem and categorise it accordingly, you’ve made progress, but this is only the first in a series of corrections. 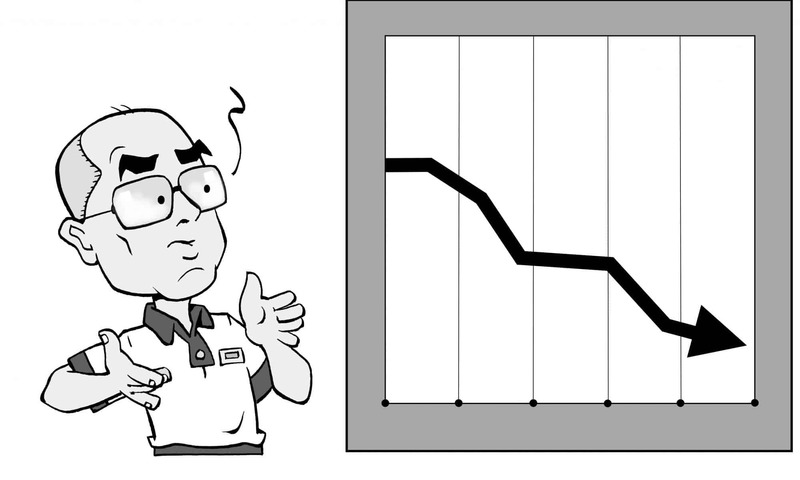 Many Reliability Engineers can identify the problems they have, but not why they’re happening. If they are ignored, misunderstood, or dismissed as one-off incidents, they’ll continue to haunt you. To resolve the problem, you should follow a process I like to call Root Cause Analysis (RCA). To summarise, you analyse patterns and data and keep asking “why” questions until you find the root cause. Maybe a machine part wasn’t the right part for the job. Maybe the machine wasn’t lubricated properly. Maybe the lubrication was contaminated. These root causes won’t become apparent on their own, but they can be found if you look deep enough for them. You can’t expect different results by applying the same, tired solution over and over. When you have a problem that your regular methods fail to fix, you must find another way. Many Reliability Engineers repeat the same method simply because that is all they and their colleagues know. As Abraham Maslow said, “When all you have is a hammer, everything looks like a nail.” Trying something different is often discouraged because it is risky, but often innovation is the only step forward (and especially in this world of rapidly evolving technology). 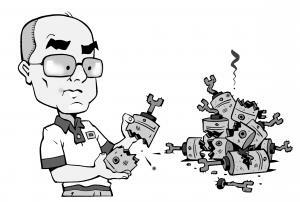 Many companies unfortunately see maintenance as a cost rather than an investment, and thus a change in routine is seen as a gamble rather To be given the freedom to try a different method, you will need to challenge the mindset of management and for that, you need data. When explaining ideas, concepts, or issues to management, it is imperative that you use data, especially that which is easy to understand and explain. In the business world today, you cannot progress without data to back you up, and frankly, why ignore it? Data is easy to access, analyse, and present, so using it is one of the simplest ways to improve. I once had a boss who had a sign on his door that read, “When you enter this office, please choose the type of debate you want to have.” The choices were a data-free debate, a data limited debate, and a data-driven debate. When I started up a data-limited debate with him, he encouraged me to upgrade to a data-driven debate. Presenting the right data is vital if you are to pitch the improvement needed to management, because only then can the fifth mistake be overcome. You could have the right idea or strategy, but it doesn’t change anything unless implemented. If your strategy gets rejected, it will be as if you have made no progress at all. There were once some New Zealand engineers who bought some shipping container offices to their worksite, and everyday they would go inside these containers to optimise their strategy, and then come back out, for two years. No one outside the containers knew what was happening, so when the engineers presented their fully optimised strategy to management, it got rejected. If they had invested management during the process, two years of hard work would likely not have been thrown away like that. As we discussed before, if you use data to catch their interest, only then will progress be made. As you may have noticed, these five errors can be closely linked. If you work to fix one problem, you might find yourself solving many others in the process, and that can lead you along a path of ever growing relief. Don’t feel ashamed of these mistakes; we all make them, and we can all learn from them. Do you want to learn how best to avoid these mistakes in future? 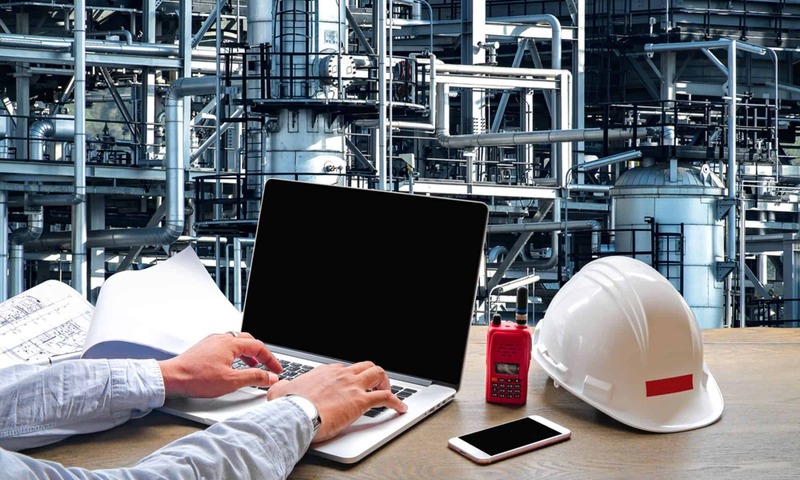 Why not take Peter Horsburgh’s Extraordinary Reliability Engineer course to learn everything he wished he knew much earlier in his career. Registration is available on Eventbrite. Free support tools and information released for the 5 Habits. 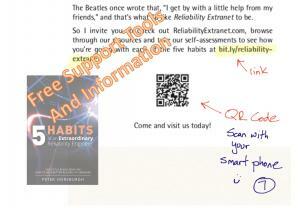 Inside my book, ‘5 Habits of an Extraordinary Reliability Engineer’, you will find “bit.ly” links and QR codes within it (see the image). These link to various Reliability Extranet web pages, including the free tools that have been developed to support the book. You will find in the book a Self-Assessment, PowerPoint Template, and articles on RCA and Fault Coding. When the Self-Assessment is completed it gives you a ranking on how you are implementing each of the 5 Habits. To find the tool most helpful, I suggest you read the book, assess yourself, make some changes, and re-assess to see the improvements. These are free and can be accessed by scanning the codes or clicking on the links in the Kindle version of the book. Have a try, scan the QR code in the attached image, and watch it take you to Reliability Extranet! Please enjoy and if you have any suggestions for improvements to the supporting materials and tools, please let me know. 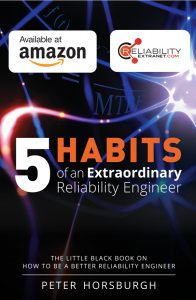 Exciting News: After the online launches last week, the ‘5 Habits of an Extrodinary Reliability Engineer’ is now available for purchase on Amazon or Reliability Extranet. The Kindle version is available for single purchase or is included as a part of your Kindle unlimited subscription. The print copy is available via Reliability Extranet and comes signed by the author, Peter Horsburgh. Limited copies are available for immediate dispatch. If you would like a hard copy, click here on Reliability Extranet. Or you can find the Kindle version here.